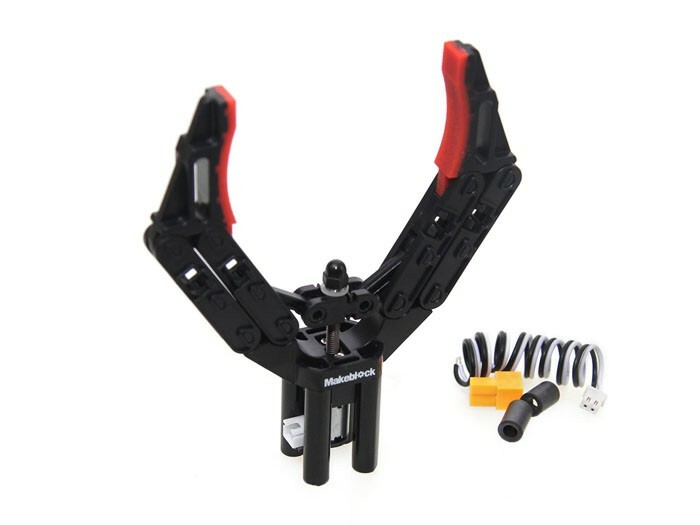 Introduction: This robot gripper is perfect for all your gripping needs. Made from a heavy duty but lightweight PVC, it comes with four standard M4 thread holes on the bottom for easy assembly. 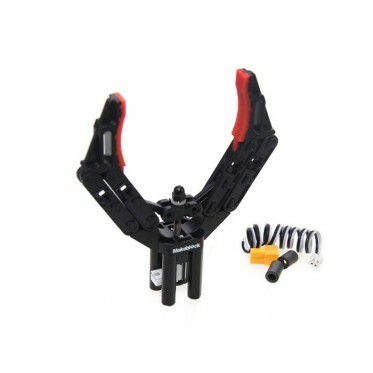 Features: Self-locking fingers Extra anti-slip material on the inside of two fingers A built-in resettable fuse protects the N20 screw motor from short-circuits and over-current Motor Specification? Voltage: 12v Operating current: ?110mA Speed: 600±10%RPM Part list 1× Robot Gripper 1× Motor Cable If you have any further question for technical support, please contact [email protected] or visit forum of Makeblock.